Videos are the easiest way to train your users about the features or platform. 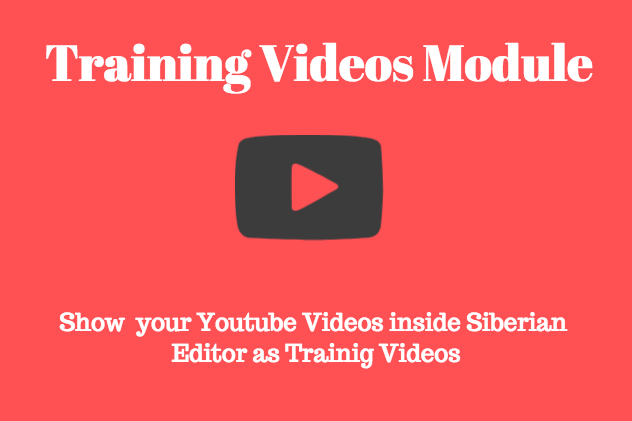 Training Videos Module shows a link on side menu and when clicked shows all the videos from your youtube channel. You can show different videos per APP incase you create individual app training. Paste APP Key in youtube description content while uploading the video on youtube. This will make auto mapping of video to app inside siberian so that each app shows different videos. Your user get more engaged with tools/platform once they understand the easy steps from your Video. They spend more time on your system and will try all the possible options available and at the end of the day you get happy and satisfied customer without any complaints.